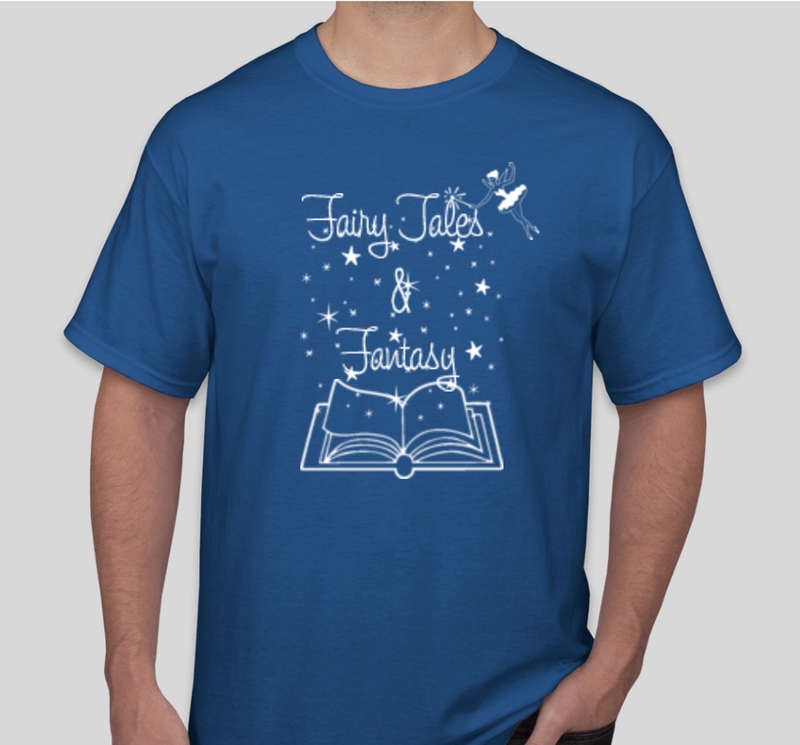 This year’s recital is: Fairy Tales & Fantasy! Recital tickets will go on sale Saturday April 20th, at 1:00 pm. Recital is June 8 and 9, at Madison East High School. All tickets are reserved seating. Everyone, including dancers, must have a ticket to enter the theater and see the show. NOTE: Children 2 & under need no ticket, but must sit on a parent’s lap. Tickets are available online only at: ‘https://www.danceticketing.com//27793‘. Go to the site select your show, then select Main Floor or Balcony and pick your seat. You MUST print your ticket for admission, we do not accept electronic copies. Tickets will be $12 each, but we are running an ‘Early Bird’ special for two weeks, April 20 to May 4! During that time, tickets will be $10 each. We encourage you to purchase tickets ahead of time as there is limited capacity in the theater. This is an every other year opportunity and there is a student age limit. Don’t wait, sign up now, space is limited! ! Order your recital t-shirt now! All student names are listed on the back. Order forms are at the studio. 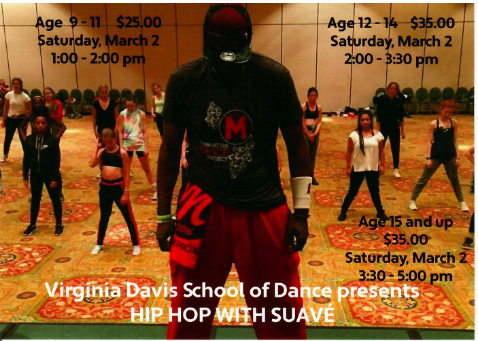 Virginia Davis School of Dance is honored to offer a special Hip Hop Workshop with Suavé. Select Registration from the top menu to register. Workshop size is limited. Suavé was one of the original members of Culture Shock-Chicago in 1998 and has appeared in various music videos and movies such as, Walt Disney’s ‘Just Visited’ with Christina Applegate, and as a specialist dancer in the hit movie, ‘SAVE THE LAST DANCE’. He was also hired as a dance coordinator as well as featured as a dancer and teacher in the movie, ‘DREAMS’ which he worked beside Dave Scott whose credits include ‘U Got Served’, ‘Stomp The Yard’ and ‘Step Up 3’. 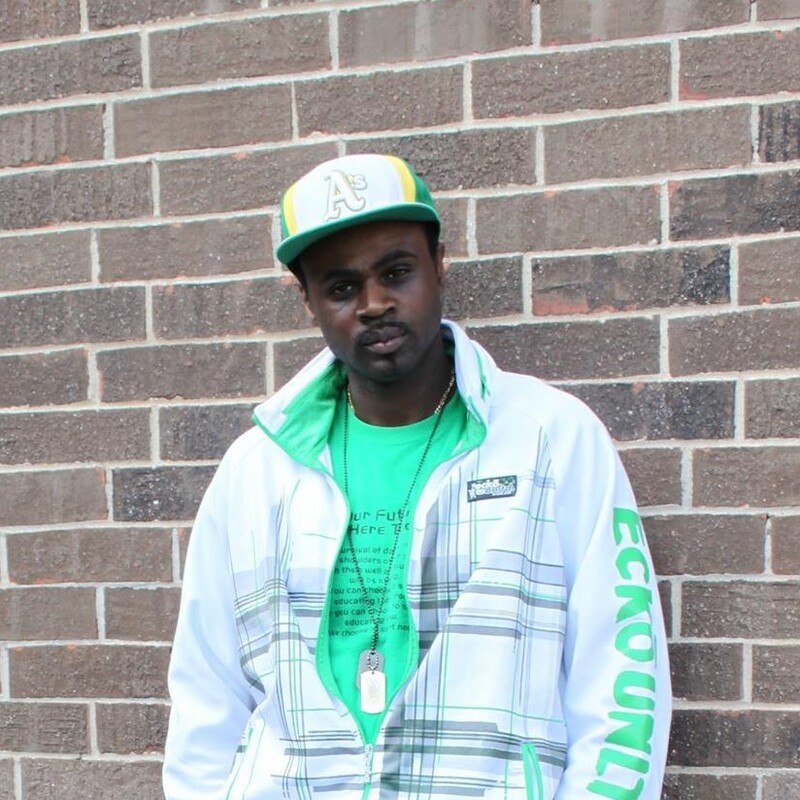 As the creator and producer of the largest annual urban dance showcase in Illinois called THE ONE, alongside producing other major dance shows, Suavé has established himself as one of the most respected leaders in the hip hop industry in the state and in the country.